Virtual assistants have revolutionized the way you interact with your smart home. But do you truly know how to use them to the best of their capabilities? Sure, getting your assistant to literally control your home is a detailed process, but when done properly by the pros the benefits are endless! Let's go through how to make sure you get the most out of your own virtual assistants. Think of virtual assistants and smart homes like partners. They each do their own respective tasks, they're both great at what they do, but using them together has the power to change your life. Luckily, nothing has changed much. They're still used to increase the ease of your day. Their potential is simply multiplied whenever you combine them in your smart home. Think about how you use one without a smart home. You can ask it virtually anything and it can answer it for you. When you ask it to schedule something it will, and even send you reminders of your calendar. It can do so much, but at the same time, very little. That's where combining it with your smart home comes into play. Using virtual assistants has changed with the progression of smart tech. Now, it is simply invisible luxury that connects every aspect of your smart home to the ease of your voice. Your virtual assistant essentially unlocks the full potential of your smart home without ever having to lift a finger...literally. Raising your shades or setting the lights to a certain mood is as simple as saying, "Hey Josh, Good morning. Raise my shades." and Josh.ai will tell your smart home system to use the "good morning" light setting and raise your shades. From there, you can ask her to turn on Sports Center and call your mother for dinner plans. You get the picture, it brings the entirety of your home together. It's no longer running around from smart phone to light switches to the T.V. to the shades. It revolutionizes your day - everyday. There's a lot of great virtual assistants on the market, each with their own flavor, but with that said, you should really focus on Alexa or Josh.ai. Now, with the smart home control hub, your best bet is easily the Crestron Pyng. Not only is it compatible with just about every smart product on the market, but the setup is phenomenal for operation under one control hub. Pyng links your entire home together so that it all works together. The setup works best by having a professional Crestron retailer set it all up, but as far as customization, Pyng offers a very simple walk through to align your presets and preferences. 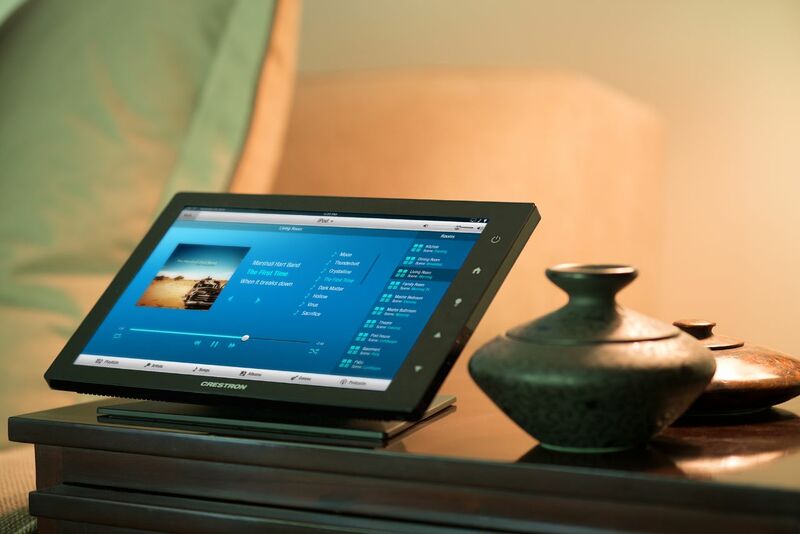 Using a virtual assistant is simply amazing when paired with your Crestron smart home. All of these set the environment of your home, and revolutionizing your home is as simple as incorporating your virtual assistant and smart hub together. Again, installing and designing everything is well beyond the "DIY" scope, and you'll need a professional to actually set it up. But, with one, you're able to experience so much more. Curious about how to get a smart home system that can change your life? We can give you a custom quote for every need you have.